Pocket Monsters Advance Generation - Minna De Pico - Pokemon Waiwai Battle! 101-piki Wan-chan - Wan-chan Daikoushin! Shichida Makoto Kanshuu - Unou Image Training - Hiragana, Katakana - Casino De Moja-Vegas Dream! Kuma No Pooh-san - Christopher Robin Wo Sagase! Peter Pan - Neverland E Ikou! Sega Pico, also known as “Kids Computer Pico” – a gaming console of the fourth generation, released in Japan in 1993 and in United States and Europe in 1994 by Sega Company. The main objective of the console was to attract the youngest kids to video games with more emphasis in educational games. Sega Pico was intended primarily for an audience of kids aged from 2 to 8 years, and the advertising slogan was “the computer that thinks it’s a toy”. Sega Pico, which reticent of the laptop didn’t have its own display and therefore it had to be connected to the TV. Cartridges for Pico called “Storyware”, which were certain books with colorful illustrations. The players could turn the pages of this little book, so the illustration would match the image on the screen, and control the game with a special touch field of the console. A direct control was carried out by a “magic” pen (Sega Pico Pen) and buttons. Each page of the book was like a platform on which actions happened – the player with the help of “magic” pen could interact with the picture on the page and the actions appeared on the TV screen. All the games for Sega Pico were awarded the rating “EC” by the ESRB. 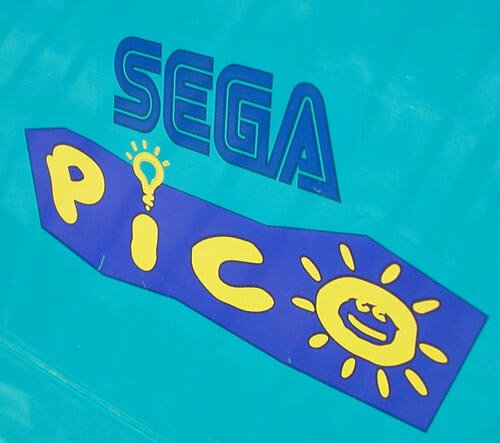 Games for Sega Pico were released exclusively for kids. Among them were brain and learning games that would teach a kid counting, alphabet, colors and so on. It was released a lot of games from Sega and Disney. Today, we have smartphones and tablets with lots of the games, but you can always show your children exclusive Sega Pico games. Simply download emulator and Sega Pico roms games and run it on your pc, smartphone or tablet.